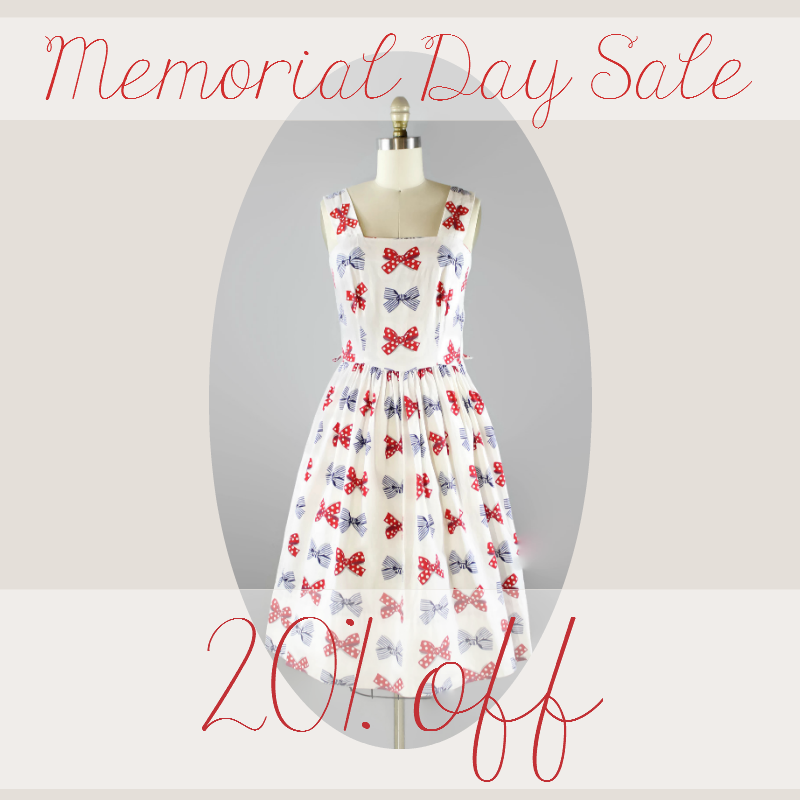 Foxburrow Vintage: Memorial Day Sale! Snap up some of my amazing Brimfield finds for 20% off, including the pictured dress above! Wow-ee! Sale runs from Saturday morning until Monday at midnight EST. No holds, so grab it while you can!